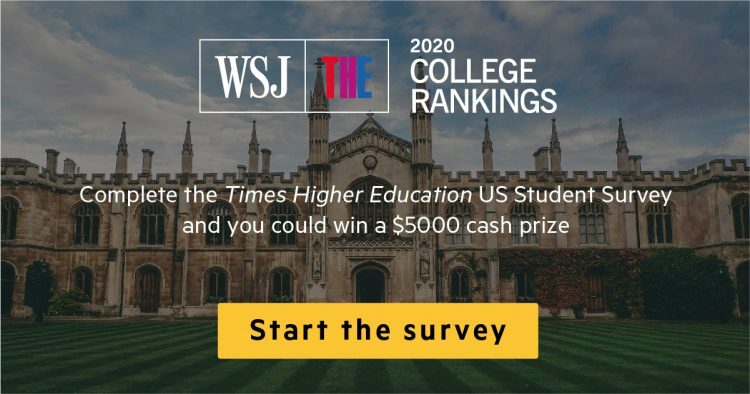 UCCS students can win one of four $5,000 national cash prizes by participating in the Wall Street Journal’s annual Times Higher Education U.S. Student Survey. The survey is designed to answer the questions that matter most to students and their families. UCCS students need to provide their university email account to verify their status as a student and complete the survey. The survey is conducted by StreetBees, an independent research platform, and UCCS will only receive aggregate data that can be used to evaluate programs and services. The Times Higher Education rankings will be released in June and is one of the few surveys to focus on student feedback. For questions about the survey, contact queenbee@streetbees.com.